We created a soft plastic bait like no other on the market. It has a thin profile, yet a beefy belly and a longer tail that “thumps” so loud fish have to check it out!” The Moxi is available in 18 fish-catching colors tested over years of on-the-water R&D. New Kit with our 8 Hottest selling colors: click for more info. 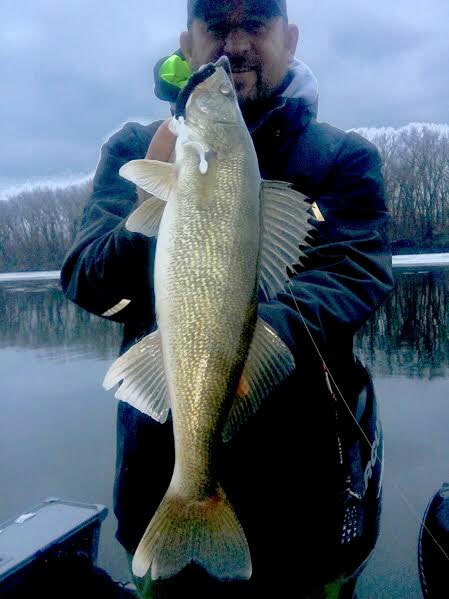 Photo to right: AuthentX Pro Staffer Ryan King caught this quality Mississippi River walleye while testing out the 6 NEW Moxi colors in January! It gets some of my Canadian buddies to leave their minnow buckets at home! I’m a relatively young angler at 20 years old and as time goes on I’m trying out new baits and really trying to build confidence with walleyes and plastics. The moxi is quickly becoming a confidence bait. I have been working my baits with 1/8th ounce H2O jigs and had a lot of luck on weed edges and rock points. At this point I can say I will be caught dead before I leave the house without a couple moxis on board. My current favorite walleye plastic! So far have had no problems with them. I love the action they produce. Can't wait to try them in more places. I would highly recommend these plastics over an other I have found. They were prompt even though post office said it was delivered but wasn't. They kept in touch and made sure it showed.